There are many resources out there that give you exercises for the tremolo. But you've tried them all and what's the result been? Little to no progress? This book contains six highly focused exercises and also takes you through a regime of progressive difficulty - from extremely basic exercises to advanced ones. The advanced exercises go far and beyond what would normally be required for a tremolo, helping you to master every aspect of your tremolo. - Combine the exercises with Giuliani's studies in 3rds, 6ths, octaves and tenths for a lot of fun! My online tremolo course provides an HD video demonstration for every single exercise in the book, plus routines for you to follow along with. 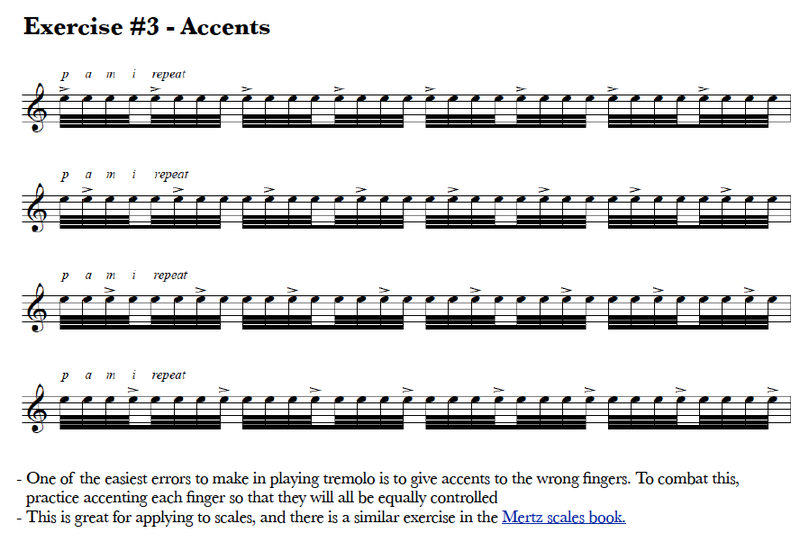 I also create customized routines based on the piece you're working on.